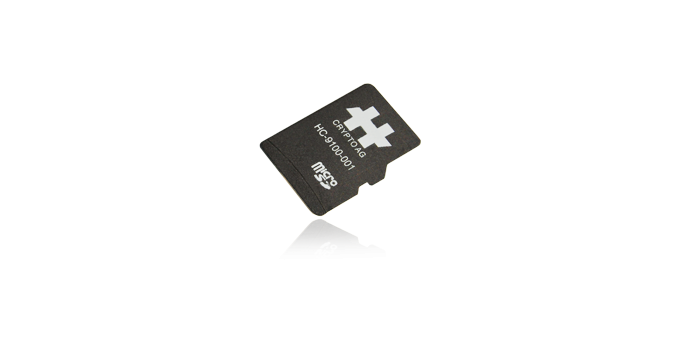 Crypto Mobile HC-9100 is the latest innovation from Crypto AG – a complete universal encryption platform in the format of a Micro SD Card with impressive performance capabilities. As part of the unique Crypto security architecture, encryption is performed in a hardware processor integrated in the Micro SD Card. The integrated Flash memory is also controlled and protected by this processor. The Crypto Mobile HC-9100 is compatible with a number of high-end smart phones from Nokia. You simply insert the card into the existing memory card slot – it will remain invisible to others. The HA-2400 Voice Encryption Mobile is a security application specially developed to allow the use of the sophisticated security functions in the HC-9100 with mobile phones. The interplay of the two products protects your voice communication reliably and to the maximum extent. If your mobile phone should fall into the wrong hands or be stolen, no one can access the data stored on the card. With the Crypto Mobile HC-9100, you own the smallest high-security encryption platform in the world.